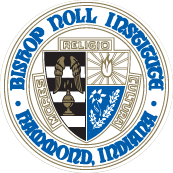 Catch up on everything Bishop Noll's student and alumni have been doing. Have a story idea? E-mail Jen Florek at jflorek@bishopnoll.org. BNI swimmer named to Hall of Fame. Click here. Coach Hreha receives lifetime achievement award. Click here. Teacher combines love of art, science. Click here. Junior inspired after D.C. trip. Click here. Jalynn Edwards '19 named San Damiano Scholar. Click here. Giovanni Komyatte '20 learns from leaders in medical field. Click here. Soccer team wins state championship. Click here. Alumni connect in Milwaukee. Click here. Science on go: Students visit Wolf Lake. Click here. Jeff Stur '98 named director of admissions. Click here. Alumna pursues veterinary career with internship at Lincoln Park Zoo. Click here. Writing Center helps students learn through revision. Click here. Mrs. Conley retires after 48 years in education. Click here. Class of 2018 graduation news, photos. Click here. Payton Hewlett '18 inspired by classmates, faith. Click here. Valedictorian shines in mind, body, soul. Click here. Alumni reminisce at 'West Side Story.' Click here. Neurosurgeon, advisor to Pope serves as commencement speaker. Click here. Senior wins leadership award. Click here. Senior vocalists earn perfect score at ISSMA. Click here. Alumna's reach has global impact. Click here. Quintero named Lily Scholar. Click here. Jackie Jania '18 named San Damiano Scholar. Click here. 2 alums added to Hall of Honor. Click here. iPads make impact in classrooms. Click here. Junior studies forensics in D.C. Click here. Nancy Repay '85 gives back in big ways. Click here. Administrator enjoys new role. Click here. New STEM class leads the way. Click here. Cheer Team helps others. Click here. Crash survivor tells story to Noll students. Click here. Daniel Cuevas '17 earns state Scouting award. Click here. Seniors donate gifts to cancer patients. Click here. Stories and photos from the Class of 2017 graduation. Click here. Science classes visit cadaver lab. Click here. Biology Club cell-abrates favorite subject. Click here. Bishop Noll students teach fifth-graders through RICHER program. Click here. Blue Mass honors those who serve. Click here. Senior's artwork wins award. Click here. Bishop Noll awards 26 top scholars as Graduates with Distinction. Click here. Chamber honors Noll teacher. Click here. Hockey team wins state title. Click here. Students share stories of their culture for Black History Month. Click here. Lenten season begins with Mass. Click here. Band continues to win awards. Click here. Students visit seniors at Albertine Home. Click here. Wallene Swentko '63 devotes her time to Noll. Click here. Local seminarians inspire students. Click here. Liberty Bowl trip inspires band. Click here. Hockey team alumni reunite on the ice. Click here. Food drive aids Hammond soup kitchen. Click here. Chinese students lauded for essays. Click here. Hockey team helps homeless. Click here. BNI Thespians win regional award. Click here. Marching Warriors head to Liberty Bowl in Memphis. Click here. Alum gives thanks for Noll education at Thanksgiving Mass. Click here. Science Olympiad Team in the works. Click here. Eagle Scout project benefits Noll. Click here. Students count blessings at Thanksgiving Mass. Click here. Marching band receives award. Click here. Alum strikes right chord with students during classroom visit. Click here. Prayer service focuses on meaning of mercy. Click here. Couple inducted into Hall of Honor. Click here. Drama Department presents murdery mystery, prepares for one-acts. Click here. Students explore Europe together. Click here. Science students explore Wolf Lake during canoe field trip. Click here. 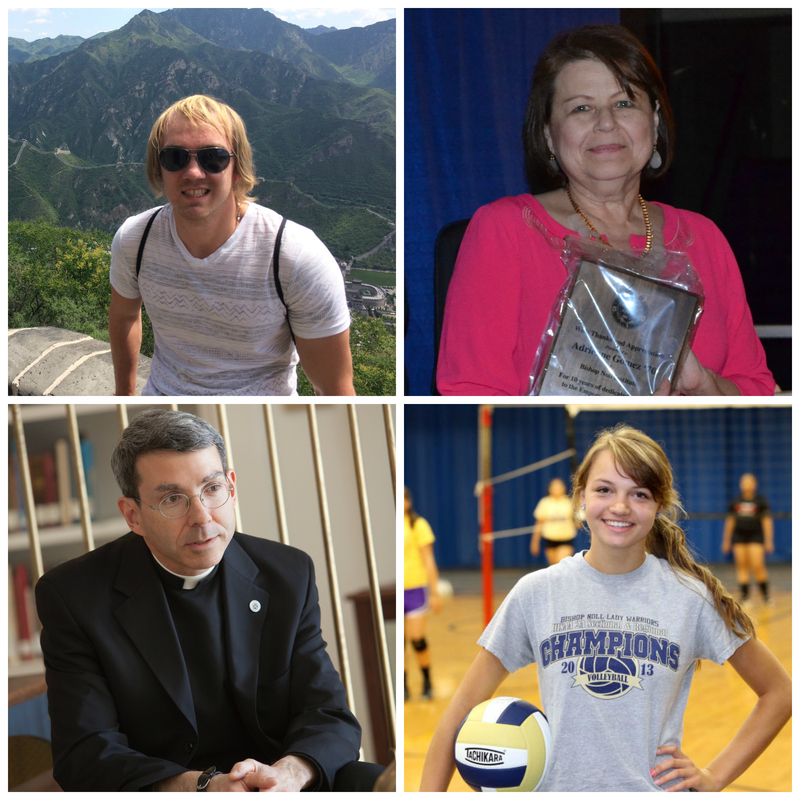 Living their faith: Inspiring alums. Click here. Senior focuses on future in medicine. Click here. School spirit shines during Homecoming. Click here. Tailgate Party welcomes alums home to Noll. Click here. Terry Murphy '75 shares knowledge with students. Click here. 2016-17 school year forms. Click here. Lorenza Jara Pastrick '01 tapped as new BNI principal. Click here. Alum donates kidney to stranger. Click here. Alums enjoy annual Golf Invitational. Click here. Expanded curriculum focuses on student futures. Click here. Alums visit China for work, study. Click here. State names Noll Four-Star High School. Click here. View photos, read stories about BNI Class of 2016 Graduation. Click here. Senior choir members receive Winterlin Award. Click here. BNI freshmen study stations of the cross. Click here. Noll seniors honor inspiring teachers. Click here. Colin McCullough '05 named new head football coach. Click here. Art students showcase work at Calumet College of St. Joseph. Click here. Faith Jackson wins at State Relays. Click here. BNI students honored to have French poetry published in literary magazine. Click here. BNI Chaplain appointed by Pope Francis as Missionary of Mercy. Click here. Noll Band performs at dedication at War Memorial. Click here. New Speech Team earns recognition at Chesterton tournament. Click here. Girls' volleyball wins third straight sectional title. Click here. Ida Polito '35 inducted into BNI Hall of Honor. Click here. Class of 1965 - 50-year reunion produces generous gift. Click here. Class of 2015 graduation: Learning the lessons of faith, love at Bishop Noll. Click here. Three Class of 1963 alums create Bishop Noll endodwment at Purdue University. Click here.